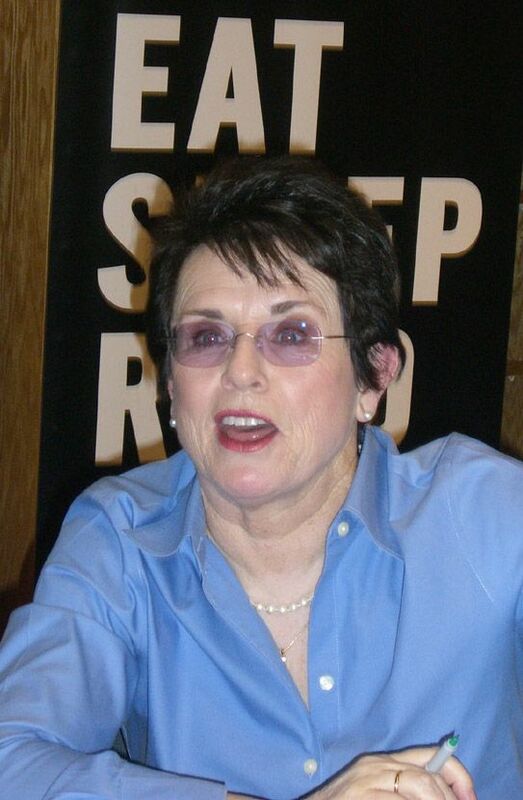 Tennis icon and activist Billie Jean King dazzled a group of about 300 fans at the Changing Hands bookstore in Tempe, Ariz. on Oct. 23, during a talk and signing of her new book, Pressure Is A Privilege: Lessons I’ve Learned from Life and the Battle of the Sexes. King fielded questions from interested fans, ranging from life growing up in a strict home in Southern California to the roadblocks and creation of Title IX, the future of junior tennis in America and, of course, her famed "Battle of the Sexes" match against Bobby Riggs. "I spoke with Bobby all the time and we became great friends," says King, looking out over the crowd, young and old, hanging on her every word. "Right up until the final moments (of his life) two years ago." The Riggs match came at a pivotal moment in gender relations for America and opened the door to greater opportunities for women in athletics. Pressure Is a Privilege outlines King’s journey that led to the famous match and she shares the life lessons that cemented her place in sports history and in the world at large. King received a standing ovation from the appreciative crowd as she began her talk, and afterward generously spent nearly two hours signing books and posing for pictures. In 2006, the	USTA	renamed the tennis center in Flushing Meadows - where the US Open is played annually - to the Billie Jean King National Tennis Center, to honor King's legacy as an incredible champion and	tireless ambassador	to the	sport. It is the largest and most prestigious sports facility in the world to be named after a woman.